The stock market’s “buy the dip” mentality is very strong right now. The S&P 500’s pullbacks are becoming smaller and smaller, while the S&P 500 has started to break out. 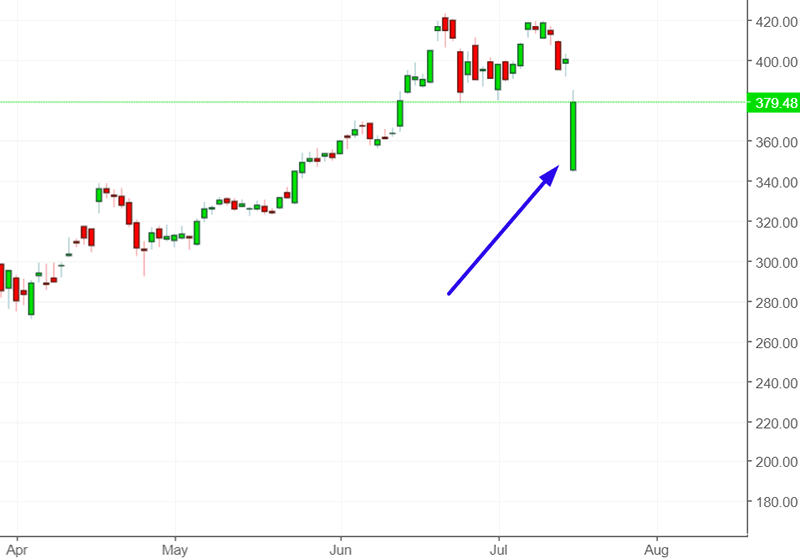 Netflix tanked -13% yesterday on its earnings report after the market closed, but has clawed its way back to -5%. 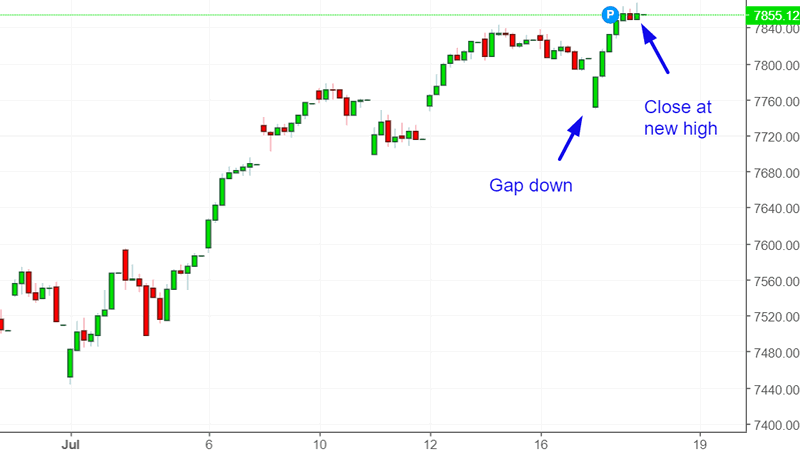 As a result, the NASDAQ gapped down more than -0.6%, but reversed and closed at a new all-time high. 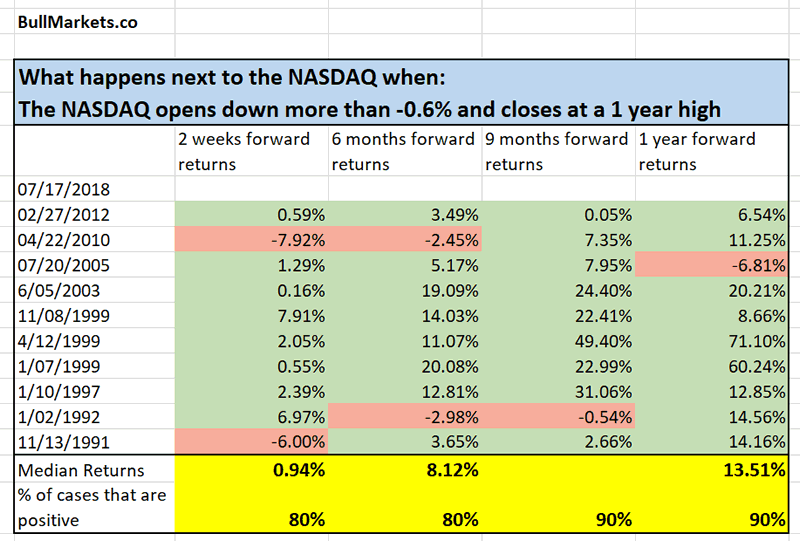 Here’s what happens next to the S&P 500 (historically) when the NASDAQ opens down at least -0.6% and closes at a 1 year high. As you can see, the stock market usually continues to go up when its “buy the dip” mentality is strong. This is a short term (2 weeks forward) bullish sign and medium-long term bullish sign. 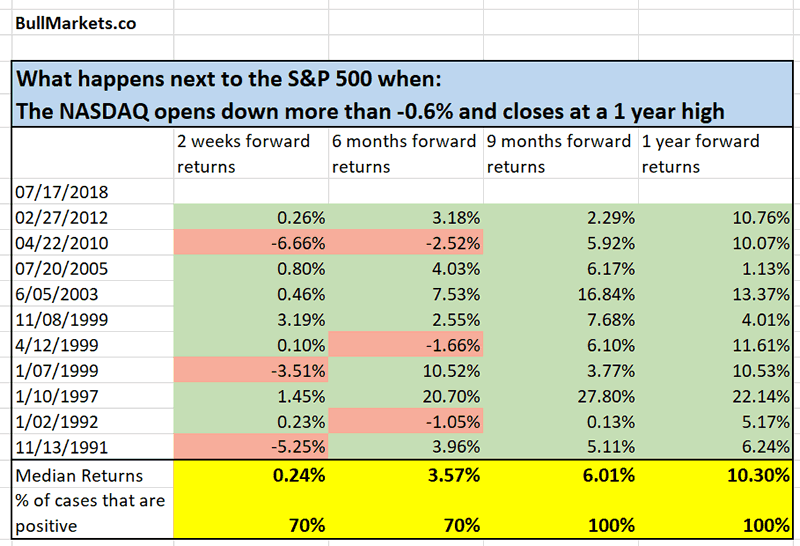 This study suggests that the S&P 500 will probably get close to making new all-time highs within the next few weeks.